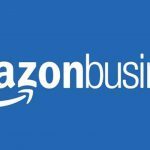 Amazon Business is Amazon’s new solution for businesses (companies, freelancers, etc.) to satisfy their purchasing needs. For many small businesses, finding suppliers can be a frustrating and time consuming task. Finding the best product, at the best price and with the best payment conditions can become a challenge, especially when there are many more things to do. Amazon Business is the solution to this problem, providing features designed to help businesses save time and money. Variety, quality and convenience: Amazon Business simplifies the entire purchasing process for businesses, helping you find, compare and buy exactly what you need with flexible payment options and fast and reliable deliveries. It is a shopping experience that Amazon customers will quickly recognize and understand. In addition, it includes functionalities specially designed for companies. Useful purchasing tools: Amazon Business provides users with greater control over purchases, offering approval processes, VAT billing policies and expense management. 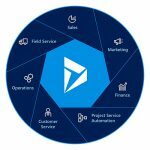 There are also tools that allow integrating existing purchasing systems and obtain detailed analysis and statistics of orders. Free accounts: Unlike other services, Amazon Business accounts are free and multi-user. Once the account is registered and verified, the owners can search among the millions of products in the Amazon Business catalog with the possibility of choosing between multiple sellers. Exceptionally, from 1/16/19 to 12/02/19, when you create your Amazon Business account you can enjoy a 50% discount on your first purchase. The promotional code will be sent to you by email within three business days after verifying the company account and activated on Amazon.es within 48 hours after verification. You can use your promotional code until 23:59 on 2/16/19. This promotion is limited to one order per customer and per company account. And it is only applicable to the products and digital content sold by Amazon.es. 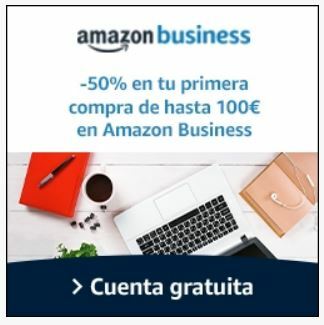 Products sold by third parties in the Marketplace or in any other web page accessible through www.amazon.es are excluded. All qualified items must be purchased in the same order and sent to a single address. And the maximum benefit you can get with this offer can not exceed € 50. You can see all the conditions of this promotion in this link.